Coverings, the largest global tile & stone exhibition in North America, is on the hunt for nominations for its next iteration of “Coverings’ Rock Stars – An Emerging Leaders Program,” which honors the best and the brightest young professionals in the tile and stone industry. A panel of industry professionals will determine the 2016 cohort—each winner is selected based on the individual’s contributions to the tile and stone industry, as well as previous industry recognition. 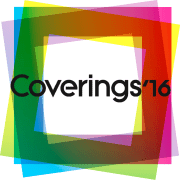 Now in its second year, Coverings’ Rock Stars will be celebrated during a series of special events at Coverings 2016, set for April 18-21 in Chicago. To be eligible, Rock Star nominees must be 35 or younger, and must be currently employed by/or as an architect, designer, distributor, retailer, contractor/ installer, fabricator, specifier, trade association, or manufacturer in the tile or stone industry. The selected Rock Stars will each receive a one-night hotel stay in Chicago to attend Coverings, and will be recognized at the CID Awards & Opening Night Celebration on Monday, April 18. Along with their nominators, the Rock Stars will also be honored at the Awards Breakfast at the show on Tuesday, April 19, where they can network, share insight from their experiences and discuss their shared passion of the tile and stone industry. Nominators should be an active professional also working in the industry. To nominate a qualified individual, or to nominate yourself, complete a submission form at coverings.com/RockStars. All nominations must be received by Monday, January 18, 2016.